join BETH AHARON & HIR for seuda shlishit with rabbi elie abadie, m.d. Rabbi Elie Abadie, M.D. comes from a long and distinguished rabbinical lineage dating back to fifteenth century Spain and Provence. Following the expulsion of Jews from Spain in 1492, his family migrated throughout the ages through Italy, the Balkans, Greece, Turkey, Syria, and Lebanon. Rabbi Abadie was born in Beirut Lebanon, and grew up in Mexico City, coming to the United States where he earned his B.A. in Health Sciences in 1983, B.Sc. in 1984 in Bible Studies, Hebrew Teacher’s diploma in 1985, and a Master’s degree in Philosophy in 1986. Rabbi Abadie received his Rabbinic ordination in 1986 from Rabbi Isaac Elchanan Theological Seminary. He graduated SUNY Downstate Medical Center in 1990 with an M.D. degree. 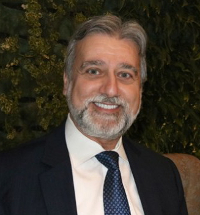 Rabbi Abadie was formerly the Rabbi and previously served as the Spiritual Leader of the Edmond J. Safra Synagogue in New York City, and the Rabbinic Advisor of the Moise Safra Community Center in Manhattan. He is currently the Head of School of the Sephardic Academy of Manhattan. He is the Founder and Rabbi of the Manhattan East Synagogue – Congregation Shaare Mizrah, located in the Upper East Side of Manhattan. He is also the Director of the Jacob E. Safra Institute of Sephardic Studies, at Yeshiva University and is a scholar and college teacher of Sephardic Judaism, history, philosophy, and comparative traditional law. He was a member of the Board and an Officer of the Rabbinical Council of America (RCA). He is the Treasurer/Vice-President of the New York Board of Rabbis. Member of the Governing Council of the WZO. He has lectured on Jewish themes, philosophy, law, and medical ethics. As a member of the board of the American Sephardi Federation and the World Sephardic Educational Center, he lectures on Sephardic Judaism, history, and comparative traditional law. Rabbi Abadie follows in the footsteps of the greatest Jewish scholar and philosopher Moses Maimonides, as he is both a rabbi and a physician. Rabbi Dr. Abadie is fluent in English, Spanish, Hebrew, Arabic, French, and conversant in Italian and Portuguese. Rabbi Abadie maintains a practice in Gastroenterology. He is married to Elise Eichler and together with their children; they presently live in New York City.